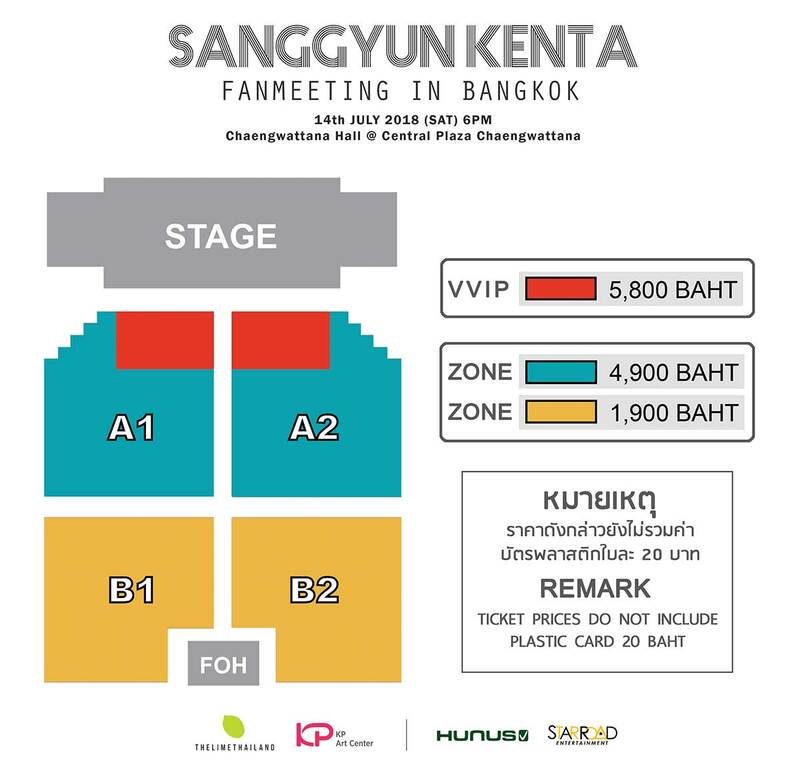 "�ѧ��ع � ह��" �硷����Ό��Ѻ�� � 2018 SANGGYUN KENTA FANMEETING IN BANGKOK �ͧ�ѵ� 17 ��.�.��� �Է�Ծ����������´!! 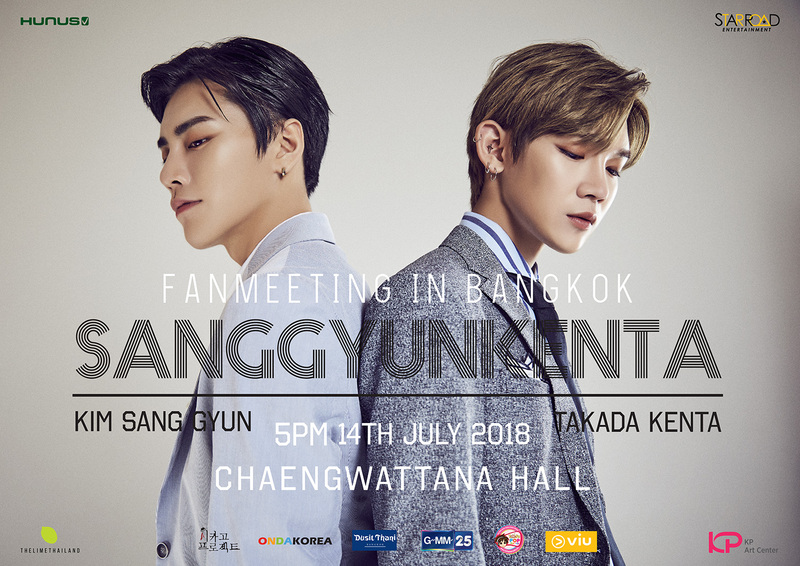 �ҡ�������ҡ��Ҵ������зѺ㨴�� ��������������� ������;ǡ����㹧ҹ 2018 SANGGYUN KENTA FANMEETING IN BANGKOK ��ѹ������� 14 �á�Ҥ�2561 � ���Ѳ������� �ٹ���ä���繷��ž�ҫ�����Ѳ�� �Դ�ͧ�ѵ��ѹ�ҷԵ���� 17 �Զع�¹��� �ҧ www.thelimethailand.com �ѵ��Ҥ� 5,800 (VVIP) / 4,900 ��� 1,900 �ҷ �ҹ���͡�������Է�Ծ����������´ ��������Ѻ������ҹ�����繵� �Դ�����������´�����������࿫���Όྨ https://www.facebook.com/TheLimeThailand/ �����Ҿ��٨������Դ�֧�ҡ�ǡ�Ҵ��µ�Ǥس�ͧ!! > system will provide all order summary (the Reservation code, Total Payment Value, the Bank Account Details and time frame that the member has to pay for the ticket). After the payment is made, please DO NOT forget to go back to ‘View Orders’ menu and confirm date/time of money transferred at within the given time frame. Otherwise, it will be considered that the member cancel the reservation. So, the reservation will be automatically cancelled from the system. The organizer will not be responsible on this cancellation. 2.5. Choose ‘View Order’ menu, to view your ticket status. 3. For Bank Transfer payment method, after the Buyer confirm the payment details via website. The Ticket Officers will review the payment within 24 hours. The member can check status again after 24 hours submission by login to the View Order menu. If the purchased ticket status is not confirmed on system then, please kindly contact the ticket officers immediately. 4. Please keep the payment verification i.e. 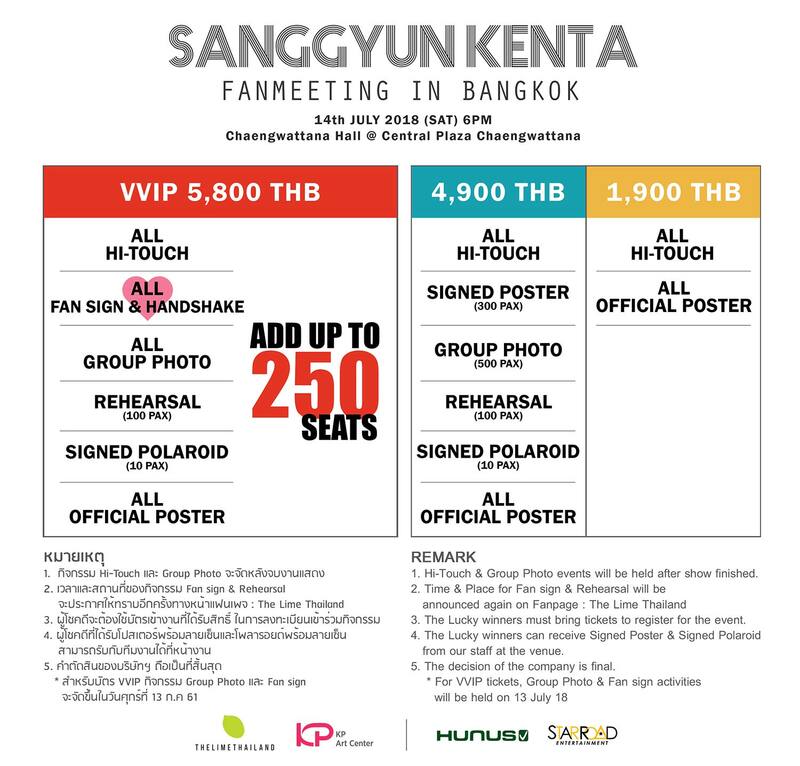 payment slip (**Recommend** the member to take photos or copy the slip to prevent color fading or lost) and Reservation Code in order to collect the ticket(s) and preventing fraud. 5. After the reservation is submitted, the member is not allowed to change any reservation details and cannot cancel the reservation at any cases with no refund. 7. Tickets purchased cannot be resold, refunded or exchanged. Tickets are the property of the Organizer and cannot be transferred or resold for any commercial purposes. The resale of ticket(s) is prohibited. Organizer reserves the right to cancel the ticket with no prior notice and with no refund or other compensation. - ������ѵ��ôԵ ���� Paypal ���ʶҹ������ '������� (Complete)' �ж١ź����ͤú 2 ��. Q1: How to apply membership/ what are requirements/ any registration fee? In order to apply, the system requires user name (remark: only alphabet, no space and special characters), password, name-surname as shown in ID card or passport, gender, year of birth, address (for shipping), telephone no, e-mail address which allow to contact. The registration is FREE. Q2: How to do if forget user/ password? A2: Please select “forget password” button which requires e-mail that you registered. System will send e-mail to user for reset new password and inform username that you applied. Or you can search e-mail from inbox or archive when you first registered membership. Q3: What is time setting in system? Where to compare timezone? Q4: Can user login in advanced before ticket open timing? A4: If user has membership user & password, you can login at “view orders” page which system will open for testing 3 hours early before official timing. User should refresh page again 10-15 minutes and re-login again at “buy ticket” page. Please delete history/ cookies from your devices before re-login. Q5: One user login from multiple devices? A5: User can login via multiple devices at same time but it’s not recommended because it can cause duplicated orders. If system find out unusual login same user many times, it will be investigated, rechecked or considered cancellation. - User who purchased ticket but no payment transferred will be strictly monitored by system. If it is intentionally action, user will be blocked for next purchase. Q6: How many ticket(s)/ Zone for 1 user per time? A6: User can buy 1-4 tickets per time per user which must be same round and seating zone only. If you want to buy another zone, user has to make order again. - Before purchased ticket, please recheck no. of tickets carefully because you cannot change after submitted. Payment must be done completely per one order and not allowed to pay specific seating(s). If payment is incomplete or partially amount, system will consider as cancellation. If you want to buy ticket, you can do again with remaining seats next round by selecting ticket same as transferred amount. Q7: If I forget to note about order no, bank account, seating, payment confirmation timing, and amount after I submitted order, how can I check? A7: User will receive order no and payment confirmation timing shown in last page after completely order. Please go to “view order” page and check. Q8: How to do ‘Bank Transferr’ payment? A8: You can do transaction via Bank counter, ATM, CDM, Internet Banking, Mobile Banking or any other applications to specific account provided. After you transferred, we recommend take photo, copies slip or capture screen of transaction for verification. - Do not recommend for advanced payment setting or others via any applications because these may cause delay from timing due setting. Your order may consider as cancellation. Q9: How to confirm payment? A9: If you choose ‘Bank Transfer’ method, you must login to website, go to ‘view order’ page and fill details and upload slip photo. *If you don’t confirm payment within timing due, your order will be automatically deleted when time expiry. After completely confirmed, your order status will be changed to ‘proceed’ which is on checking progress within 24 hours. You can capture this screen for further status checking. Please do not confirm payment before you made transaction. Your order will be considered cancellation. Q10: What should I do if confirming wrong amount, incorrect transferred timing, wrong slip uploading, status is not updated to ‘completed’ after 24 hours confirmation? A10: In case of confirming wrong amount, incorrect transferred timing, wrong slip uploading, status is not updated to ‘completed’ after 24 hours confirmation, staff may not find the correct amount to match with order. Please send e-mail with title “Incorrect Transfer Timing” or “Incorrect Transfer Amount” or “No status Update after payment confirmation” by providing order no, correct amount, correct date & time and attach slip as below e-mail address. Q11: How to manage if choose credit card, debit or paypal payment method? If credit card transaction is incomplete or incorrect credit information filling? If user wants to pay via credit card again, please choose transaction immediately for order. Q12: How to change address, how to change pick up process and how to check ems tracking? - EMS will be sent 7-10 days before show day. Please check ‘tracking number’ via view order page. It’s official ticket for concert entry. Q13: If I choose ‘self-pick up’, where to get ticker and what should I prepare? A13: You can pick up ticket at counter in front of venue which will be opened 6 hours before show time. Please see official announcement again 7-10 days before show day. - In case you are not user who registered in webpage, you must bring copied ID card of user, certified true copy, authorize you…. (name/ surname)… as receiver and sign. *Remark: Copied ID with certified and authorized signature must be print out paper only which staff will keep as reference. Order no and payment slip photos are acceptable. Q14: How to check privileges, conditions, do & don’t instructions, deposit point and official goods? A14: If there are any privileges, conditions, do & don’t instructions, deposit point and official goods for show, organizer will announce 7 days in advance via official webpage.